The solution you are looking for your broken lock is not finding a replacement lock. If you have a lock broken too severely, replacement may be inevitable, but before you go to that extreme you should take a look at some of the possible ways to address the issues with your broken lock. Whether it is door handle lock or a deadbolt broken, there are several ways that you can attempt to solve the issue of your broken lock. So why is your lock broken, and what can you do about it? Whether it is busted latch bolt or deadbolt broken, there can be certain issues that arise around these lengths of metal that result in a broken lock. There is only so much force a deadbolt can withstand. Even a solid length of metal can bend after a kicking attack, or the actuating mechanisms within the lock can become dislodged. The same thing can happen to latch bolts, which are found in doorknobs and handles. Those mechanisms are spring loaded, and as a result of how they are built, they can jam as a result of many kinds of misuse. Latch bolts are not the locks that provide security to a building, but how the bolt is broken might interfere with closing the door. But due to the important role that deadbolts play in security, you must absolutely take the steps to fix the broken lock. Make sure that these bolts retract and extend as they are intended. Clear out any debris that is inside the strike plate or with the cross bore holding the bolt. In cases where the bolt is too damaged, you can look into just replacing the broken parts in order to save on the full cost of changing locks. If you are hoping to bend bolts back into the correct shape, be aware that this kind of re-adjustment can severely weaken the bolt. With a lock broken in this way, it is better to undergo replacement than it is to lower the quality of your installed security with ill-advised attempts to fix the issue. To find out if the issue is with the bolt and not with its alignment with the door jamb, see if the bolt does not turn properly when the door is open. And be sure the keyway is responsible for the broken lock. Bolts that have bent out of shape should not be bent back, or they will be weakened. 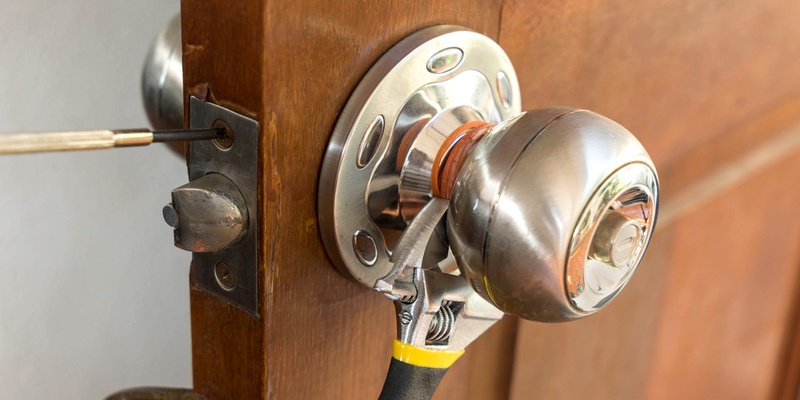 A broken latch bolt or broken deadbolt can be devastating to your security. There are times when it might seem as though you have a lock broken, but there is really only an issue with how the lock is interacting with the door jam or strike plate. The solutions for locks that are broken in this way can require a bit of labor but are largely inexpensive as long as you have the proper tools for the job. But even if this is why you think you have a “broken lock”, you can reach out to the right a local locksmith. This is a common issue that they service, even though it is not servicing a broken lock in the strictest sense, it is still a way to get a lock back in working order. Diagnosing that this is the type of solution you need for your broken key is one of the simplest processes. All you need to do is open your door and unlock and relock the device. If there is no issue, close the door and then try the same thing. With a lock broken, you will see that the lock does not work better in one state versus the other. However, if the lock is misaligned, you will feel a diminished usability only when the door is shut. The most likely culprit for this issue is going to be the strike plate or the door jam. With a lock broken because the bolt is not entering the strike properly, you can move or widen the opening. Be careful while moving the strike plate as too subtle of a move can leave the holes for your set screws too wide to secure the strike properly. If the strike only needs to be moved slightly, consider cutting to make the hole on the strike, and frame, wider. Strike plate misalignment has to do with your door changing sizes based on the weather. The door or jam is widening or tightening due to moisture change. Once the issue with the broken lock is taken care of, make sure your door is protected from the elements so that the issue of misalignment will not return as regularly. A misaligned lock can appear to be broken. Change the placement of your strike plate or widen the strike gap so the bolt fits into the housing. Address the issue with the door that is causing the lock to misalign. When a door lock appears to be broken and falling off the door, this supposed broken lock might be fixed by going back over the lock installation process. Sometimes a lock is sagging or loose, not because a fastener has broken, but because the torque of daily usage has caused these connections to loosen over time. In the simplest cases, you can fix a lock broken in this way by taking it apart and then re-installing. Re-installation will only be effective as long you are not dealing with a completely broken lock. With a truly broken lock that is falling out of the door, the fix for these connections is going to be some form of replacement. Chances the sagging is due to the set screw housing failing for some reason on another. It is unlikely that the screws themselves will have broken, but nothing is impossible. What is good about this type of broken lock is that once you have the lock out of the door, the issue should be rather apparent. Try to fix the lock together without the door, and troubleshoot the assembly so that you can determine what is not connecting. 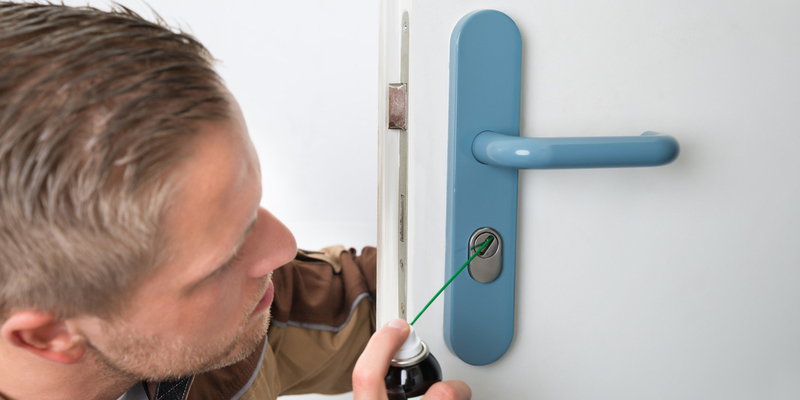 If your lock has fallen off the door or become loose, there is likely something wrong with the connections. Connections can loosen without breaking due to the torque of regular usage. Connections that break must be replaced before you reinstall the lock. A broken lock that has a keyway issue can be one of the most difficult to diagnose. The reason for this is two-fold. First off, it is difficult to understand what is happening inside the keyhole because of its size and the darkness. The next issue is that this is one of the more complicated parts of any broken lock, so there are a multitude of issues that you could be facing (some of which require a fair bit of security knowledge to overcome). The first thing you want to know is if you can insert your key. If you can insert a key that has worked before, all the way into the keyway up until the shoulder of the key, then you can be confident that nothing is blocking the keyway. It is not just getting broken keys out of the lock that you need to be concerned with. All manner of items and substances can fill up keyway, and if something is in there, you can try to get it out. However, depending on what is in the keyway, you might have a unsalvageable broken lock. If nothing is blocking the keyway, why is your lock broken? Chances are the lock’s internals or the key is worn down. In either case, your lock is not going to work unless something is replaced. Replacing a worn key can be simple, as long as you have a spare, but if that spare does not work, something else is likely to be wrong. If the issue is with the pins, you can rekey or repin the lock. If the key continues to turn over and over in the keyway there could be other issues such as a broken tailpiece. As long as the problem is something minor, chances are you will be able to fix your broken lock yourself. For more complex issues, get the help of your local mobile locksmith. Due to the complexity of a keyway it can be very difficult to diagnose the specific issue you are having. Check to see if the keyway is clear by inserting your key, and attempting to move it up to the shoulder of the key. If something is blocking the keyway, try to clear it out. If nothing is blocking your key, the lock internals or key is likely worn to the point of needing to be replaced. A great solution for your broken lock could be the easy application of the proper lubricant. It is amazing how you can go from having a seemingly broken lock to a fully functional device with a couple sprays. Anything from stuck bolts to troublesome keyways can sometimes be coaxed into functioning. After getting the lock to work, you should look into what was hanging up the stuck parts. The issue could be rust, which should be cleaned out and then the lock should be polished to decrease how frequently the rust will return. There is a rather popular argument about the type of lubrication that works best for locks. It boils down to your experience with oil based and dry lubricants. A dry lubricant like graphite uses a dissolvable solvent to deliver fine grains of friction reducing graphite. It is claimed by some that oil-based lubricants will attract dust and grime, or simply begin to gunk up the lock components over time. If you experience jamming after using an oil-based lubricant, try cleaning the lock and switching to a dry spray. Lubrication can also make a lot of the solutions mentioned above go a lot smoother. It is more than just a solution on its own. It is a solution that assists with whichever issue you might be facing (perhaps with the exception of alignment). Be aware that graphite spray lube can stain things rather severely, so take precautions to control overspray and address any drips. And there is a chance that a little spray and finesse is all you need to fix your broken lock. Lubricant can be used to get a lock stuck in place to move again. Choose between dry and oil-based lubrication. Lubrication can be used along with other solutions in order to make processes work smoothly. When your front door lock is broken, you are dealing with severely diminished security on the most likely part of a structure to be targeted by a criminal. But even with a back door lock broken, you are losing out on the full effectiveness of your overall safety. The most alarming issue is to have a deadbolt broken because this is where all the security of your door comes from. But whatever the problem is with your broken lock, it is important to find why the lock is broken and use the proper solution. Be sure to reach out to a locksmith if you need any assistance with any of these processes.